We can provide super-absorbent shop towels for your business! Our shop towels are made specifically for industrial wiping purposes. We’ll pick up your dirty towels on a regular basis, launder them and then return them to you clean and ready-to-use. Our durable towels have a long shelf life. 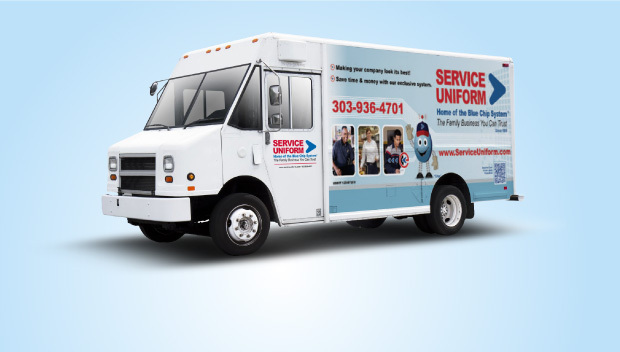 With a shop towel service from Service Uniform, you won’t have to worry about purchasing, repairing and replacing your shop towels ever again. Running out of restroom products is a nightmare, but so is constantly monitoring your soap and hand sanitizer usage and inventory. At Service Uniform, we go above and beyond by providing your business with high-quality hand soap and hand sanitizer products! Our refillable soap services ensure that you never run out of the supplies you need. We offer solvent-free natural soy soap that contains a walnut pumice to keep your hands soft. On the other hand, our collagen-rich antibacterial foam soap fights tough bacteria. We also provide hand sanitizer to keep your hands germ-free! How your business smells is one of the first things customers are going to notice when they walk through the doors. With our air freshener products, you can make a good first impression. Each month, we’ll change the battery for you and install a fresh new scent so your business never gets stale! Contact us today for uniforms and more! We want to make running your business easier, so let us take care of your uniforms, floor mats, towels, hand soap and air freshener! Contact us today to find out how our high-quality products and services can save you both time and money.